At this edition we showcased our latest releases in Pumps and PTOs as well as our line of TDZ products. Based on the design of our Hino M009 dual output PTO, we have created a new version for the MX06S gearboxes. This new PTO has pneumatic shifting and dual output with the same internal ratio for both outputs. Furthermore you can combine the flange or compact outputs as fit in each case. The dual output Bezares PTOs can work with both outputs independently or simultaneously. Bezares has engineered a new PTO for Hyundai M3S5 OD gearboxes mounted in the HD65, HD72 and HD78 vehicles. 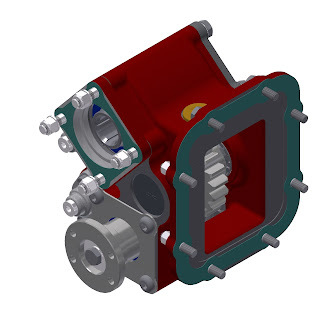 Available with compact output for ISO pumps coupling or flange output in different versions. Also available with single effect vacuum shifter, mechanical or pneumatic shifters. 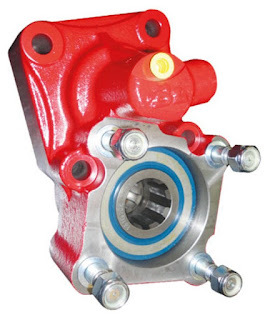 Bezares' front PTO with rotated output, has as its main feature avoiding potential interference with the vehicle during the hydraulic pump assembly. Bezares is also working on a reinforced version of the PTO with rotated output. More details to be unveiled soon at this blog.